We had been meaning to check out the new exhibits at the National Museum of American History for a few weeks now, but we haven't been motivated to really go anywhere since Mik's manual wheelchair had gotten to the point of barely functioning and he just never has gotten into using his power chair (and our current home ramp situation doesn't make it much of an option). Friday we finally managed to not only find a place to get him a new manual wheelchair, but actually lucked out that they had a returned one that worked out for him. 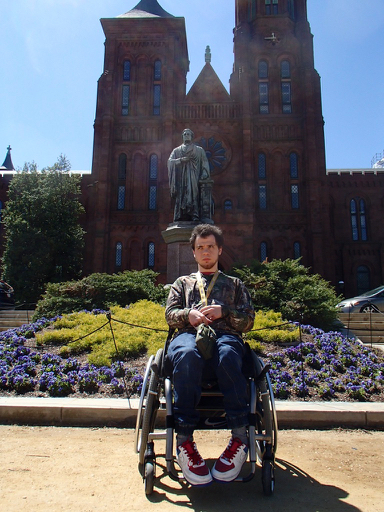 Thus, today we headed to the National Museum of American History to not only check out the new exhibits, but also go for a decent walk to really test out the new chair. 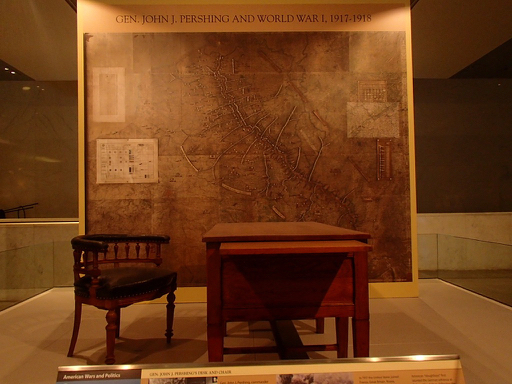 The new exhibits we were interested in seeing were related to World War I (Gen. John J. Pershing and World War I, 1917-1918 and Uniformed Women and the Great War). Mik was disappointed in the exhibits because they were all just one or two small displays in the hallways/atriums to the main exhibits. I thought they were interesting, but I agree they were small. It would be nice if they had a real temporary exhibit instead of all these little ones, although I now realize a few of them were perhaps just finishing off the third floor wing as they are currently indefinite rather than temporary. However, I am still a fan of how they do the wall exhibits (Modern Medicine and the Great War and Advertising War,) and how they slowly rotate out to regularly be something different to see. 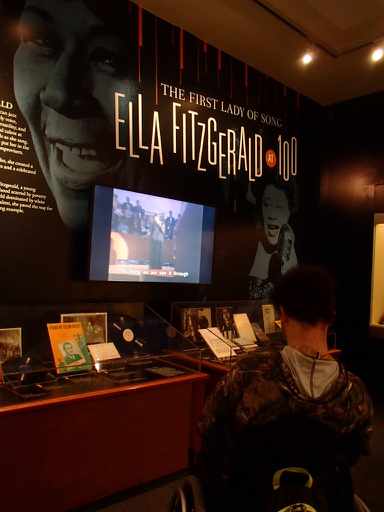 "The First Lady of Song: Ella Fitzgerald at 100" was an exhibit we didn't originally intend to see, but decided to wander over and check out since it was another recently opened temporary exhibit. It is also small, but it feels more like a true exhibit, I guess, because it is in it's own little space. Also, it had video playing along with artifacts to give more of an immersive experience. While the museum was sort of a bust this time, the new chair is thankfully not. Not only was his last chair hard to use because it was falling apart, but we never really liked it because even new it couldn't handle minor sidewalk cracks. Thus, we really enjoyed that we not only didn't have worry about the little bumps that we used to, but we could actually go on the National Mall's dirt paths and it didn't even seem like any extra effort.